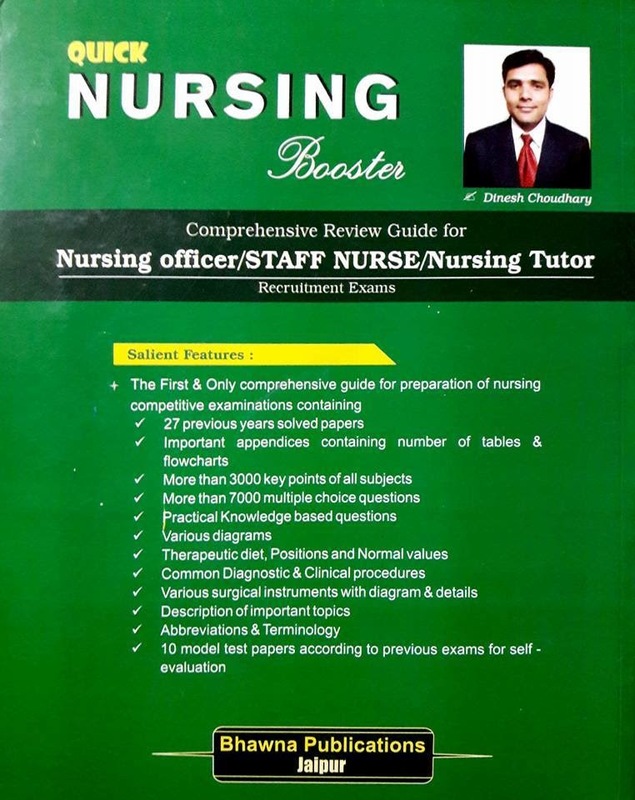 A Comprehensive Review Guide for Nursing officer, Staff Nurse, Nursing Tutor for recruitment exams. 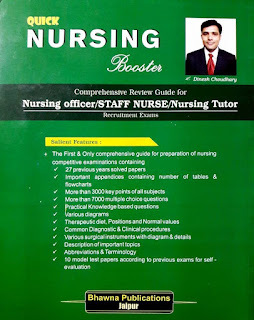 A Complete Tresure of Nursing Contents for Preparation of AIIMS, PGIMER, ESIC, JIPMER, RGUHS, GMCH, RRB DSSSB, RPSC, RMLH, BHU, AMU, BSF, NRHM, CRPF, NIMHANS, PENNET, NCLEX-RN/PN and other staff nurse entrance examinations. 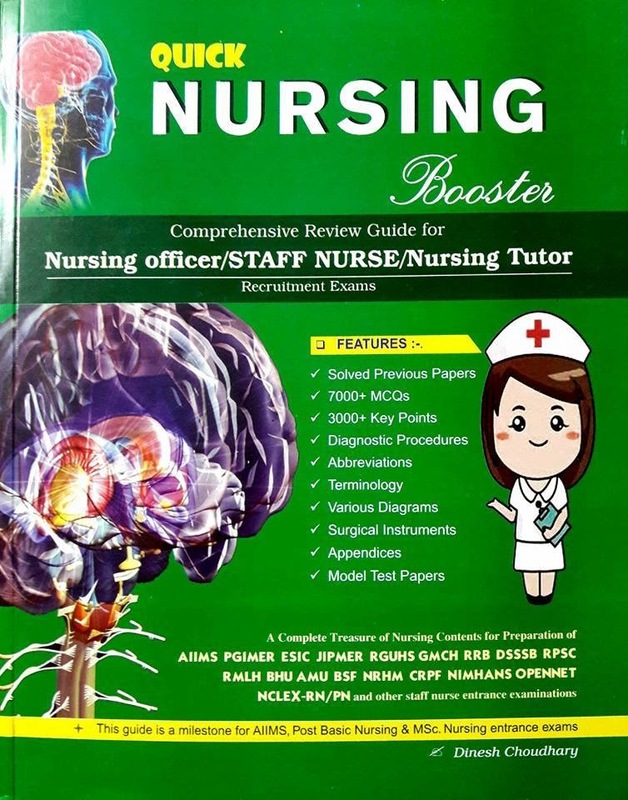 This guide is a milestone for AIIMS, Post Basic Nursing & MSc Nursing entrance exams.